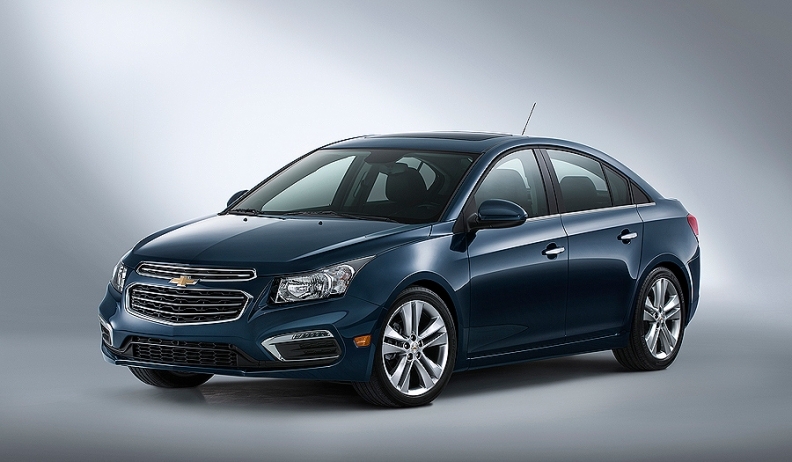 The exterior front styling updates for 2015 Cruze borrow from the Impala and restyled 2014 mid-sized Malibu sedan. Chevrolet is refreshing the compact Cruze, General Motors’ top-selling car in the United States, and adding enhanced connectivity features for 2015. It will be introduced this week at the New York auto show, GM said today. 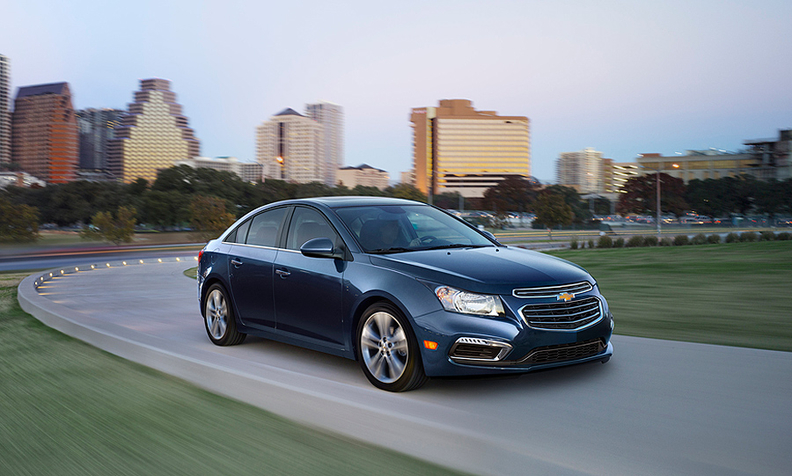 The exterior front styling updates for 2015 Cruze borrow from the Impala and restyled 2014 mid-sized Malibu sedan. Chevrolet said LED daytime running lamps will be featured on Cruze LT and LTZ trim lines. Among interior changes, Chevrolet has revised the Cruze’ cupholders to make it easier to insert and remove cups. The trunk release has also been relocated to the center console and the door lock switches have been moved from the center console to the front doors. It goes on sale this fall with a host of new connectivity features and upgrades -- text message alerts, integration of Apple’s Siri feature and the availability of OnStar 4G LTE service with Wi-Fi hotspot capability, Chevrolet said today. The new text message alert feature will use Bluetooth to read incoming texts through the Cruze’s speakers. Since it replaced the troubled Cobalt nearly four years ago, the Cruze has helped Chevrolet attract a greater share of the U.S. small car market and younger, first-time customers. In a shot at rivals, including the 2014 Ford Focus and redesigned Toyota Corolla, Chevrolet said the Cruze continues to offer more standard safety features than any other compact car. It is equipped with 10 standard air bags -- including side-impact and knee air bags for front passengers -- and is available with side blind zone alert, rear cross traffic alert, rear park assist and a rearview camera. U.S. sales of the Cruze rose 4 percent in 2013 to 248,224 units, and deliveries have climbed 17 percent this year through March in an overall compact car segment that has declined 3 percent. Overall, U.S. sales of Chevrolet’s small car lineup -- including Spark, Spark EV, Sonic, Cruze and Volt -- rose 15 percent in the first quarter of 2014.